My name is Jim Opelia. I have enjoyed living in Hewitt with my wife and 4 children since September 2006, and have been a council member since Jamuary of 2009. I have very much enjoyed working for you and with you in various capacities. The city has made a lot of progress the past few years, from people loving their town and giving whole heartedly, their talents, time, and treasure. Along with improvements, Hewitt has also faced many challenges and will likely continue to face new ones in the future. The enjoyment comes from when we come together as a team to make it all work. My goal for this town is to see it continue to flourish as a place where families will be glad to call it their home for years to come. Thank you for giving me the opportunity. 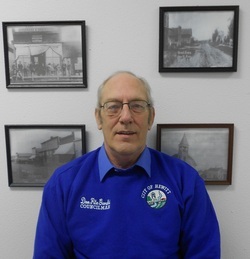 Don has been an active part of the Hewitt community for several years. He was instrumental in getting the Memorial Park project in place which is in memory and celebration of all those in the armed services of the United States from the Hewitt area. Alice has served on the Hewitt City Council since 2006. She is active with the Hewitt Historical Society and with many other events and activities in the community. Alex joined the council as an interim council member prior to being elected. He comes to the council with many years of experience including having served as the Todd County Economic Development Director for 13 years.